"He was a volunteer with the Search and Rescue Agency," Isswarto, commander of the Indonesian navy´s search and rescue division, told AFP. 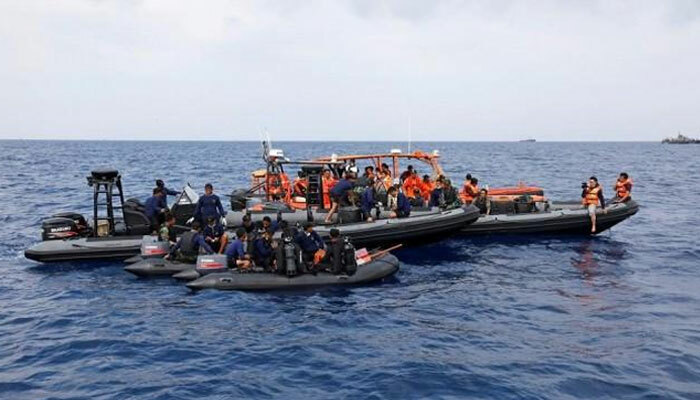 "We have all the equipment, however God´s will says differently," national search and rescue agency head Muhammad Syaugi said at a press conference. "We have heard a weak ´ping´ ... the divers are still searching for it," Syaugi said. The budget carrier´s admission that the doomed jet had a technical issue on a previous flight -- as well its abrupt fatal dive -- have raised questions about whether it had mechanical faults specific to the new model. The carrier has been involved in a number of incidents including a fatal 2004 crash and a collision between two Lion Air planes at Jakarta´s Soekarno-Hatta airport.